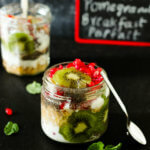 This super simple recipe for breakfast in a Jar is the easiest, healthiest and the most colourful breakfast you can make with just a few ingredients, especially for those mornings when you’re pressed for time. It has Pomegranate, Kiwi, Chia seeds and a whole lot of muesli and low fat yogurt. 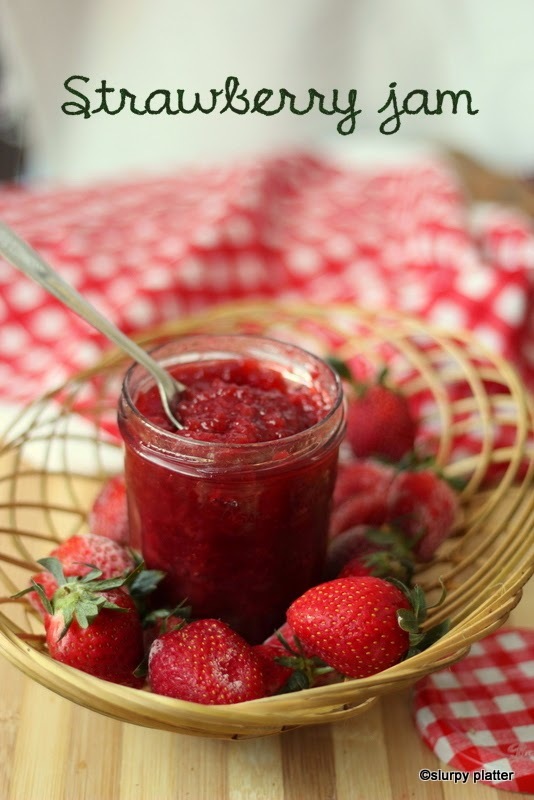 Have you heard of breakfast in a jar? Yes, you can carry it around and dig into it even at your desk while at work, or when you’re travelling or whenever you crave for a sinful dessert but you can’t have one cuz those mean calories can make you feel guilty. Oh, did I tell you that this requires only 15 minutes of your time to make the entire thing? That’s even lesser than making upma or avalakki (poha). Not that I detest uppitu aka upma, (I love it when its super hot with a generous dollop of ghee! Oh so heavenly!). But this only requires you to layer things upon one another and you’d have most of them at home. You can use any fruit of your choice, make it look all the more fancy and delicious with berries and bananas, granola and coconut milk, whatever you fancy. Guess what? 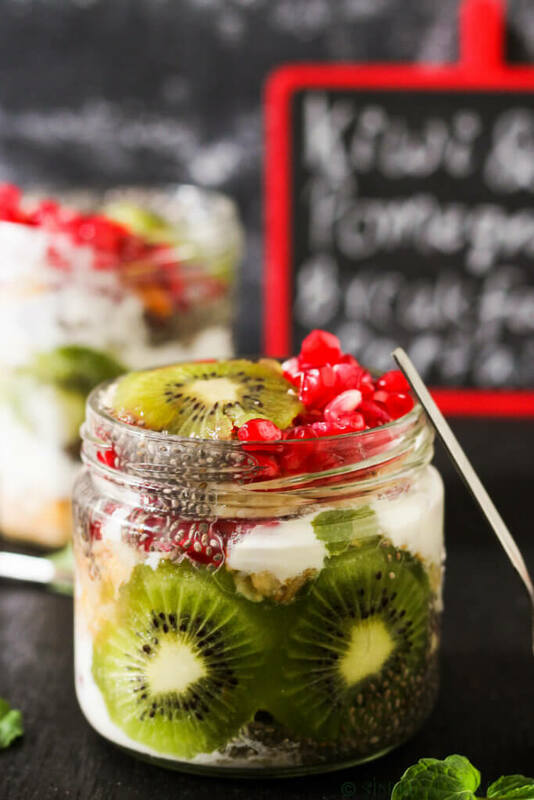 this breakfast parfait is so versatile that you can make this as a healthy dessert too. Or as an evening snack which lets you indulge in it guilt-free. Now, that’s how you smartly utilise your time in the kitchen when you’re in a hurry. 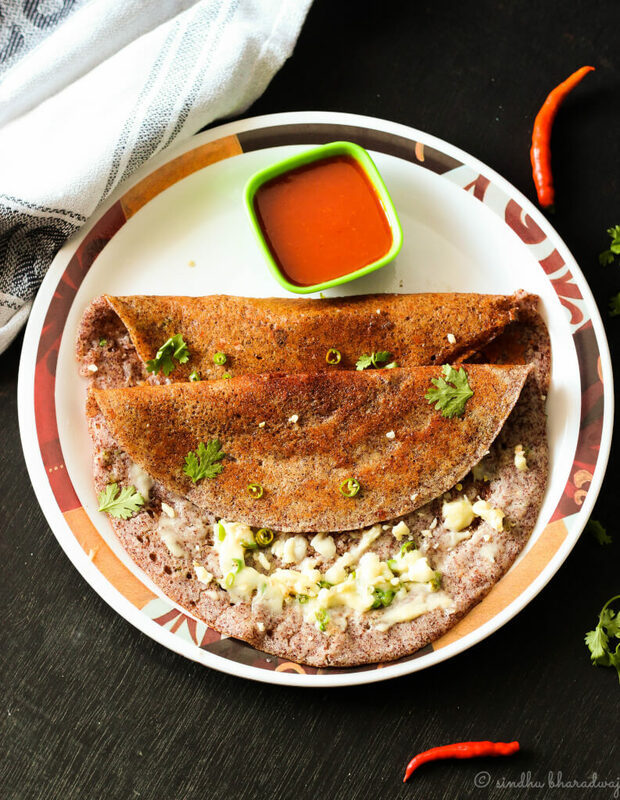 Isn’t it an amazing option for brekkie on weekdays when you’re pressed for time? 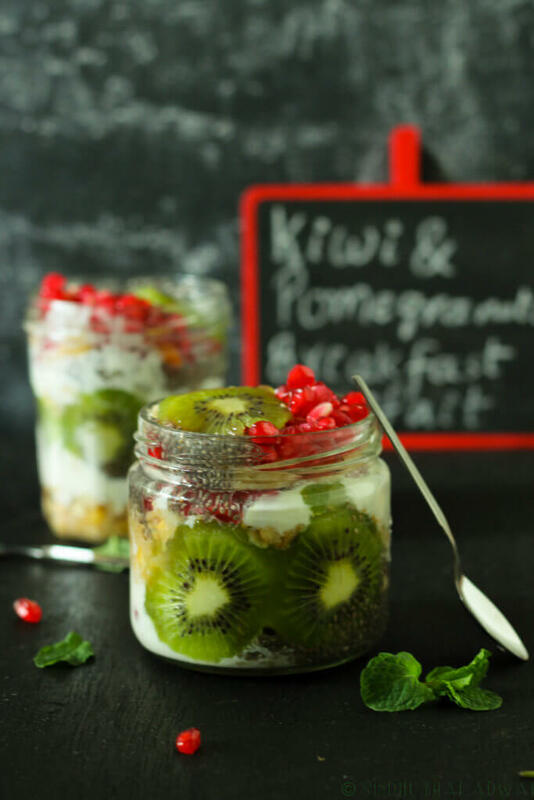 This super simple recipe for breakfast in a Jar is the easiest, healthiest and the most colourful breakfast you can make with just a few ingredients, especially for those mornings when you're pressed for time. 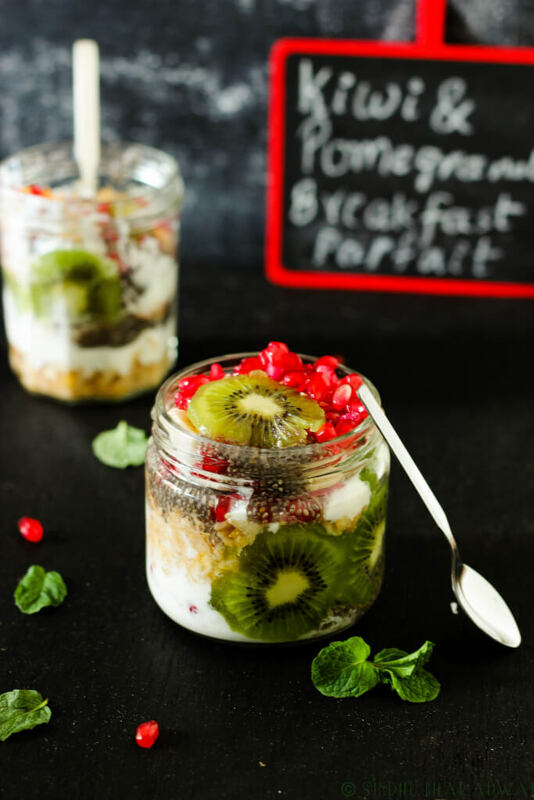 To begin making the parfait, start by adding a layer of muesli in a clean dry jar. 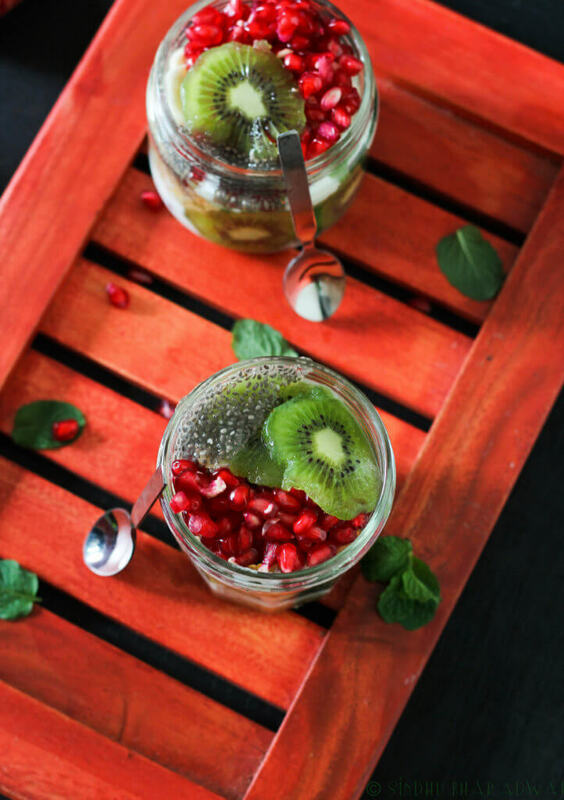 Then top it with a layer of yogurt, a spoon of chia seeds, a handful of pomegranate, a few slices of kiwis and bananas. Repeat step 1 & 2 until you reach the top. Sprinkle a few pomegranate arils and a few chopped nuts if you prefer. Refrigerate for 30 minutes at least and enjoy. If the yogurt and the fruits are chill, you need not refrigerate the parfait unless you're eating it immediately. If you do plan to carry it, it is advisable to refrigerate. I have not used any sweeteners. 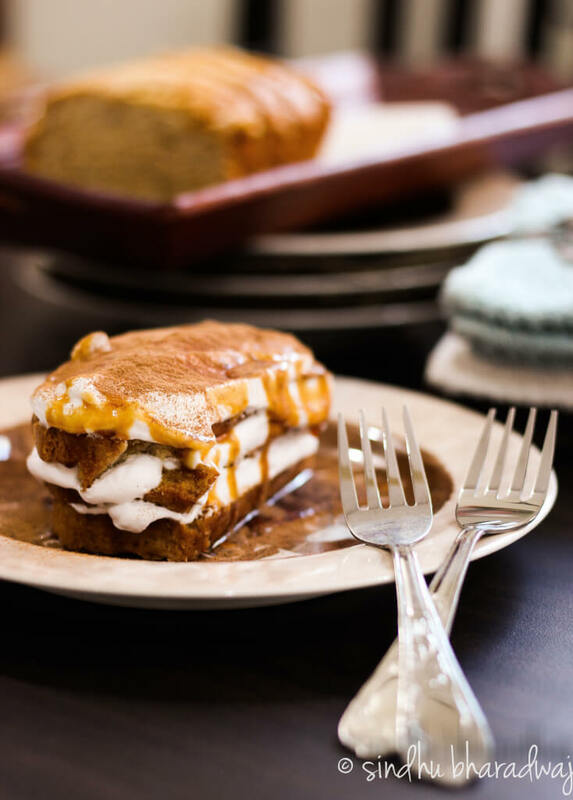 If you prefer, you may add honey between the layers. This stays good for about an hour, post which the muesli can turn soggy. Its better to eat it soon as its done. If you're making this for a dessert, ensure you have all the ingredients ready and chilled, so that assembling it makes it easy for you while also keeping the muesli crisp.